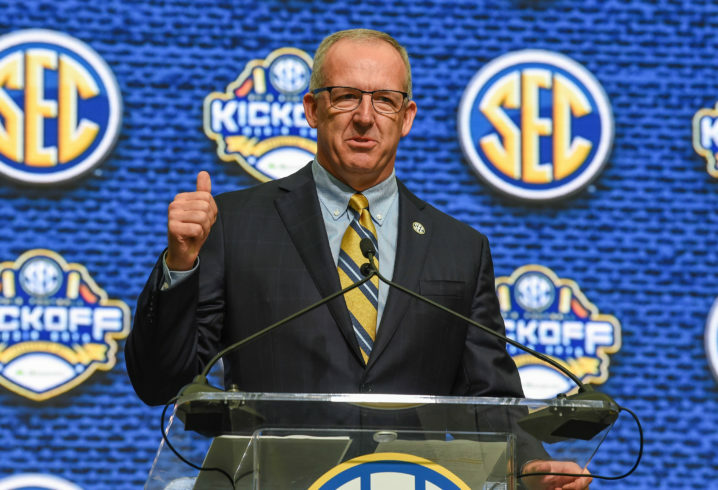 Believe it or not, Greg Sankey can relate to UCF’s plight. 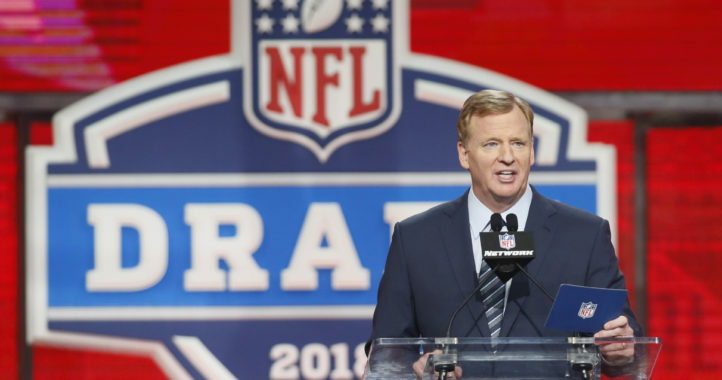 During his Thursday appearance at the SportsBusiness Journal and Daily’s Intercollegiate Athletic Forum from New York City, the SEC commissioner was asked about UCF missing the College Football Playoff for the second consecutive season after going undefeated once again. UCF has won 25 games in a row, including a 34-27 win over SEC West champion Auburn in last season’s Peach Bowl. 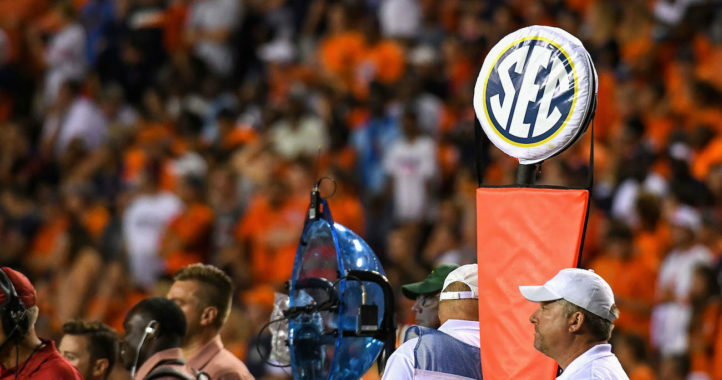 While you may not initially think Sankey could understand being left out of the postseason given the league’s strength in football, the SEC commissioner has been in a similar situation during his tenure running the league. Sankey pointed back to the 2016 NCAA Tournament. You may recall that the SEC only got three teams in the field that season: Vanderbilt, Texas A&M and Kentucky. That was a black mark for the league but one that Sankey helped to correct relatively quickly. Just two seasons later, the league sent an all-time high eight teams to the latest NCAA Tournament. Instead of complaining about the selection process, Sankey said the league made that turnaround by looking inward. That’s the advice Sankey gave UCF during his Thursday appearance in New York. Based on that response, Sankey believes if UCF continues to progress and improve the program, they will eventually break through and gain the respect they so desperately desire. There have been several teams that have been left out. I understand their complaint. But you have to build a program and respect to get their. Good teams get strikes against them for playing a weak out of conference schedule. Some of these weak teams go on to be the leaders in their own conferences. And we’re supposed to respect the team/teams that have entire schedules of nothing but that, where they beat them? So big wins some squeezing by?…… NOOOOOOO. They may get to the CFP finals and championship and destroy everyone, but the odds are that they will get destroyed. Who wants to see that? As a Bama fan, is OU and ND the best two they can pick? I’d say no, but i am excited about them. I’m worried about the threats that OU possess on their team. I’m actually glad Bama is playing them instead of ND because i like good games, not blowouts. I’d honestly be as excited and worried about Bama playing Ol Miss again. Any given game day. I like UCF and excited about their success but don’t want to see them blasted down a peg. Oh. And just add to my families dislike of blowouts. My kids wander off to watch youtube, the wife falls asleep, and mother in law starts playing candy crush. That’s how most of our games have gone. If it’s not close or a game, who cares. Yeah yeah, bama destruction again. Simple, if UCF wants to be taken seriously as a group of 5 team, they need to load their non-conference schedule with quality power 5 teams, including 1-2 elite programs per year. The problem is that they expect elite teams to make a return trip to their 40,000 seat high school stadium, which no legitimate program should even consider. Alabama played at a 40,000 seat stadium just last year. I remember in the early 90s when Frank Beemer was building Virginia Tech, they would play away teams like FSU all the time to get paid and build their reputation. Eventually it lead to better recruits, and invites to the Big East & then ACC. They took their lumps and eventually became a really good program. UCF wants their cake and to eat it too. They want to play in the AAC, schedule crappy opponents, and then be considered like a team from one of the top conferences. It’s also called a conference game. I don’t mind them constantly saying the streak. It is impressive and surely praise worthy. Using it to justify anything this year is silly. They were rewarded last year for their exceptional year with a bowl game. Beating Auburn is irrelevant to this year. They are being rewarded this year with a Fiesta bowl game. I don’t know if they are a top 4 team but how can you measure them with the #72 ranked SOS. Life isn’t always fair and this is just football. So Greg, difficult non-conf games like The Citadel in Nov?